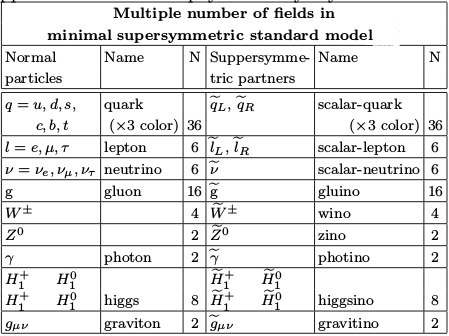 The Standard Model, for particle physics. The cosmological Standard Model, or -CDM, as well LCDM, for cosmology and astrophysics/astronomy. The SM particles are fermions and bosons, or leptons, quarks and force carriers. Matter fields are six times two. Six quark flavors, six lepton flavors, plus their antiparticles. Force carriers are photons, Ws, Zs, gluons and the mass giver, the Higgs boson . The SM does not include gravitation, so the graviton is just another story. The LCDM cosmological model says to us that atoms and particles are only up to a tiny 5% of the whole Universe. The rest, 95%, is dark mater, 27%, and dark energy 68%. The SM particles can NOT be the DM or the DE, so we are into trouble. Analogy 1. The Higgs field is some kind of fluid with resistance or friction/viscosity. Issue: “particles can not be stopped”. Analogy 2. The Higgs field is like a room with people in which a famous person enters in. Issue: “elementary particles are not just like famous people”. Why 3 families or generations? Why 6 flavors or leptons and quarks? Nobody knows. Scales: why ? Nobody knows. Why dark matter and dark energy in the proportion we measure? Nobody knows. Why the cosmological constant is NOT zero? Is it the vacuum energy? If so, it should be much, much bigger according to QFT, why not? Nobody knows. Origin of the Universe: inflation. Why inflation seems to be the only explanation to the flatness problem? What caused inflation? Nobody knows. Is our Universe unique? Is there a Multiverse/Polyverse? Nobody knows. Can every fundamental interaction be unified into a single theory, the theory of everything (TOE)? What is the real TOE? Nobody knows. Why is there something instead nothing? Well, that is another puzzle, related to the matter-antimatter ASYMMETRY we observe today. The CP asymmetry, or why there is much more matter than antimatter is a riddle with no known definitive solution, yet. I personally find disgusting the equations and complexity of the MSSM. Of course, it can be done, but the SM works fine and better without doubling the particle spectrum. There are some nightmares for particle physicists these days. The most terrible scenario is the so-called desert. The desert hypothesis says that there is no new physics between the electroweak scale and the Planck (mass-energy) scale. Well, if you believe that the neutrinos have masses (as indeed they do have), this can NOT be true. Neutrinos are massive (at least one of their species), and you have neutrino oscillations. Neutrino oscillations and the seesaw mechanism are a well-established way to give masses to neutrinos (even when you can get Dirac masses), including the exotic Majorana mass. Right-handed neutrino could be very heavy, and they could explain lots of parallel issues. The sterile (right-handed) heavy neutrino could be a scale a new physics. By the seesaw, the scale can NOT be the Planck mass. It is something between 100 TeV and TeV. Massless neutrinos could yet exist, but at least one neutrino species is massive, and that is the biggest hint we have about the new Physics from the SM, and of course the Higgs mass or the top quark coupling to the Higgs. The SM has another more complicated issue I have discussed before in the QCD sector. There is an interaction that could exist that is made of the dual field strength of the YM theory in . That term, the so-called term is very close to zero. This is the strong CP problem. To solve it, many ideas have been proposed, the most popular being the axion or even extra dimensions. What is the face of our Universe? Options: Big Freeze, Big Crunch, Big Rip, Little Rip, Vacuum Decay, …Nobody knows. Why does the cosmological constant/vacuum energy density not gravitate? Nobody knows. Put into words: . Why the observed vacuum energy density is about a few ? Nobody knows. Are primordial gravitational waves out there? Nobody knows (but they are expected). GUTs, grand unified theories, imply that there is also bosons that make proton unstables. However, the proton is very stable. To detect a proton decay you must get a big number of protons to enlarge the odds of seeing it to decay into something. Popular theories beyond GUTs, TOEs, like superstring theory, face similar problems and even more. They predict the existence of different vacua. The landscape problem in string/superstring theory is that there are to many compactifications of the higher dimensional theories (10D and 11D mainly) giving a vacuum or Universe like ours. The original hope to find a single vacuum seems to have been lost in the stringy field. A few additional comments: without the cosmological constant, it seems, there is no Universe like ours. I mean, if the energy density of vacuum were so big, the Universe had collapsed unless it does not couple to gravity. It seems unlikely. Who knows? By the other hand, quarks are massive due to the Higgs, but they hadronize due to QCD. Protons and neutrons (or baryons in general) are complex objects. Indeed, the main contribution of the proton (or neutron) mass comes from non-perturbative effects in QCD. It is the highly non-trivial vacuum structure of the QCD why proton got masses. If no QCD, there is no hadrons like we know. If no Higgs bosons, atoms would not bound and form, since electrons would be massless and they would escape at the speed of light form hadrons or nuclei! What is mass? The SM changes the paradigm. Mass (of fundamental particles) is provided via interactions with Higgs field through Higgs boson particles. Any particle X get a mass . So, we have changed the way to ask why there are masses to the question of why the Yukawa couplings or the Higgs v.e.v. are those we observe. Nobody knows the reason. Hadrons, I insist, get masses via QCD, at the effective level via interactions with pions. Protons have a mass about . Nobody knows why it works. Or why the proton mass and the neutron mass are a little bit different. Why is the electron mass 511keV? Nobody knows. Historial remark: if you think that the electron was discovered in 1897, the top quark in 1995, and the Higgs boson in 2012, you can realize particle physics is slow (just like the superheavy elements searches or even worst!). As a summary, we could say the Higgs field and the SM physics are fundamental but they face many unsolved issues. The Higgs field can be imagined, approximately only, as waves in a viscous fluid. Is the found Higgs particle the SM Higgs particle or an impostor? Nobody knows, but it is very close to be a SM Higgs. Why the Higgs couplings are so different? 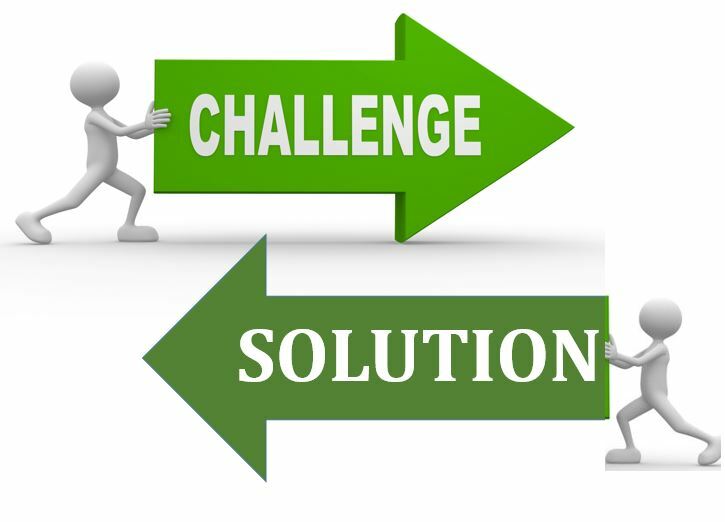 Nobody knows, even the stringers face a formidable question to answer this, because they have to explain why to select one solution over the possible vacua when they reduce the theory to 4D. When particles interact with the Higgs, the coupling between the particles and the Higgs is a Yukawa coupling. Yukawa couplings do not come from any known symmetry in the SM. The Higgs vacua is unstable or metastable. You need something to get a light Higgs mass. Higgs mass is not protected by any symmetry in the SM, therefore something has to exist to keep Higgs bosons light. It could be SUSY. NO SUSY particle has been discovered so far. Nobody know if SUSY is the answer to the lightness of the Higgs boson. We don’t even know if the Higgs boson is elementary or composite by some new super-strong force, as suggested by Terazawa. Yukawa couplings are introduced by hand. where the interacting mass is and the interacting term is made of three fields. The Higgs boson is a property of fluctuating vacua. It should respete P,C,T symmetries. The Higgs field and the Higgs mass is the only mass without explanation in the SM, because the Higgs must is put by hand. The SM gives no specific mass to the Higgs mass, but it provided some consistency bounds (by unitarity, triviality and previous precision measurements, we did some guesses). Mass is important, since due to the equivalence principle, there is only a mass (not three!). Inertial mass equals gravitational mass (or gravitational charge) with high accuracy. In order to find why there is no antimatter (or very few amount of it) you have to invoke the Sakharov conditions: violation of CP (T), violation of the baryonic number ( ), and out of equilibrium physics. The 3 conditions seem to be satisfied in the context of the SM, at least from the phenomenological viewpoint. Why the Higgs boson lifetime is about ? Why its decay width is about ? Why ? For the given observed higgs boson mass, the most likely decay products are , , , , , , and . Processes of Higgs bosons into 4 leptons have been observed to identify the Higgs particle. See you in another blog post and thread!